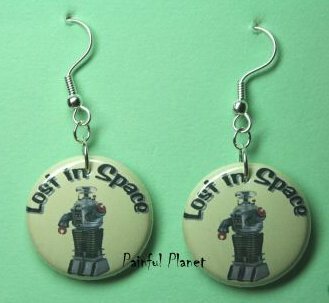 These are awesome 1 inch Button **LOST IN SPACE** Dangle Earrings! Silver Plated Hook Earring with Lightweight 1" Round Picture Dangle (No pin back) These make great gifts!! Your friends will definitely want to know where you got them and they also make a great and unusual gift!